The Association of Christian Tuck Students (ACTS), in partnership with WIB, CDS and the Tech Club, is proud to present: Janeen Uzzell, Global Executive and Former Head of Women in Technology at GE. Generous sponsorship for these events provided by the ROI Fund and Intervarsity. 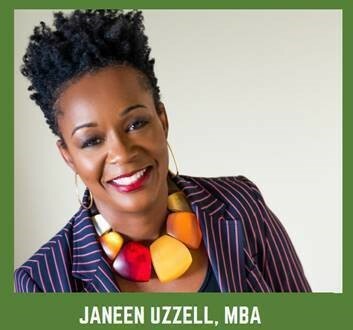 Janeen Uzzell is a Global Executive with extensive experience in the design and use of technology to drive impact on global outcomes for some of the world’s largest corporations and technology giants. During her 16-year tenure with GE, she held a number of technical roles, served as a global P&L leader, and managed a major market customer base. In 2009 Janeen was tasked with building a team and strategy to determine GE’s rural health platform. She and her team were the start-up leaders who designed key partnerships, aligned core products for scalability in the emerging market and grew the Africa healthcare revenue portfolio. It is this work and her leadership as an Ex-Pat in Africa that she holds most dearly, and is most proud of in her career. Most recently, Janeen was the Head of Women in Technology for GE where she worked across the 300,000-employee community leading a culture shift to accelerate the number of women within the Company’s technical female workforce.